Secure Mac Cleaner is a computer program that some people find too annoying. First, it may arrive on Mac system without user’s approval. Secure Mac Cleaner may come with adware and other software bundles that routinely spread over the internet to distribute malicious programs. On its official website, Secure Mac Cleaner is endorsed as a one-click cleaning tool that finds junk files, temporary files, redundant cache, and unnecessary log files. Through this optimization procedure, Secure Mac Cleaner claims to boost performance of your computer. 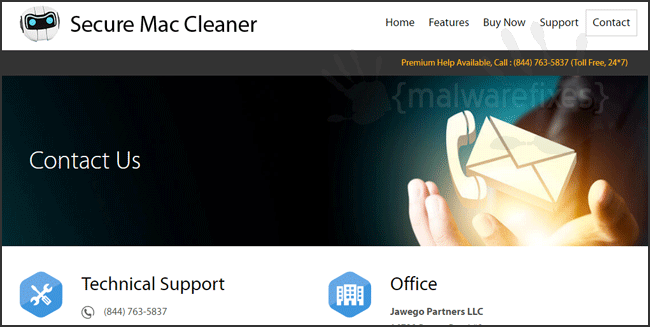 Secure Mac Cleaner seems to be a useful tool, however, due to its association with various adware and PUP’s, security experts find it disturbing to see this program running on the computer. In addition, Secure Mac Cleaner runs a scan and produces tricky results. It aims to deceive computer users via these mockery scans that try to convince them into upgrading the program to a paid registered version. As you can see, Secure Mac Cleaner is a program that was made simply to be sold without any valid attestation to its effectiveness. Thus, we cannot declare that it is safe to install the program and let it be your default Mac OS X optimization tool. If you share similar findings with us and wanted to remove Secure Mac Cleaner from the computer, we have outlined and easy-to-follow procedures on this page. Scan the computer with suggested anti-malware tool to ensure that all items, including hidden ones will be deleted. Before proceeding with the steps below, please close Secure Mac Cleaner window if in case it is open. 3. Under Process Name column, look for Secure Mac Cleaner. Click the name to select the malicious process. 6. You may now delete or remove files that belongs to Secure Mac Cleaner. Proceed to the next steps. If you cannot find the specified file, please look for any unfamiliar or suspicious entries. It may be the one causing the Secure Mac Cleaner to be present on your Mac. Arranging all items to see the most latest ones may also help you identify recently installed unfamiliar files. Please press Option + Command + 4 on your keyboard to arrange the application list in chronological order. 2. Run Malwarebytes Anti-malware for Mac. It will check for updates and download if most recent version is available. This is necessary in finding recent malware threats including Secure Mac Cleaner. 5. After the scan, Malwarebytes Anti-malware for Mac will display a list of identified threats, Secure Mac Cleaner is surely part of it. Be sure to select all items in the list. Then, click Remove button to clean the computer. 4. 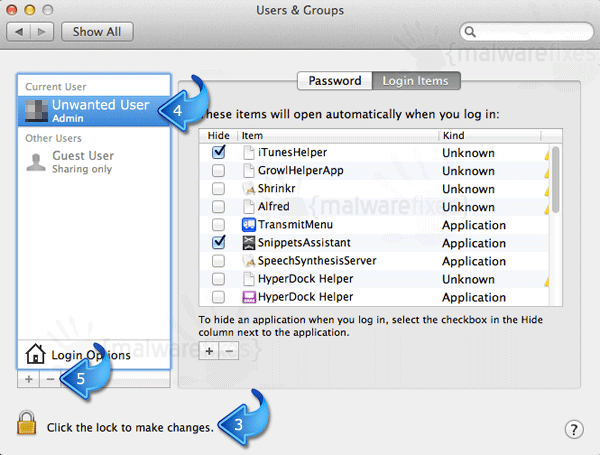 Next, select the user account related to Secure Mac Cleaner. 5. To delete Secure Mac Cleaner account, click on the minus [-] button and confirm your actions. Please see image below for reference.